This paper reviews the cultural practice of intramural burials for infants in Greece, making reference to parallel practices in Anatolia, the Levant and Egypt. This age-old and widespread custom began with the earliest settled communities in the Near East and continued through the Chalcolithic and Bronze Age. Intramural burials in pits, cists and pots are known in Greece throughout the Bronze Age, whereas despite being relatively common on the mainland the practice barely impacted Crete until LMIA, the peak of Minoan trade exchanges with the Levant. 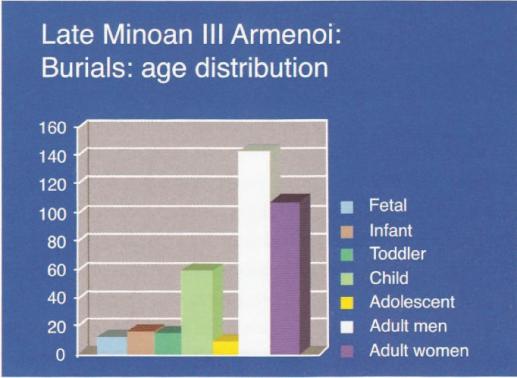 In LMIA intramural pithos burials of infants occur, sporadically, at sites in East Crete and later in South Central Crete, while pit burials and a cist burial are known from LMIA at Knossos continuing until LMIII. Intramural burial was practiced for many millennia in different cultural and geographical settings, which may or may not suggest an underlying koine of belief, because given the complexity of human nature and the infinite variety of expression of human culture and beliefs there need not necessarily be a single explanation for this phenomenon at all times and in all places. In Crete, however, the context of some pithos burials seems to convey a funerary symbolism, which articulates the Minoans’ religious belief in rebirth and hope for an afterlife. 1Settled communities in the Near East practised intramural burial of both adults and children as early as the Xth millennium BC. In the Neolithic period pots were used as burial receptacles, cooking jars being used for the burial of infants and small children. When burial was removed from living sites to organized cemeteries, the custom of intramural jar burial for infants continued. This practice had firm roots in North Syria and SE Anatolia, and spread to neighbouring areas including the Aegean and mainland Greece, where intramural burial for infants and children occurs in the Neolithic and Bronze Ages. However, in Crete there are a few Neolithic intramural burials at Knossos and one Early Minoan II intramural burial at Nopigeia, a coastal site in West Crete. Intramural burial for children is only evident on a broad scale in the Late Minoan period at several major urban sites. 2Neonatal and infant mortality throughout the prehistoric period was high and probably rose during the Bronze Age owing to greater population densities stimulating an increase in pathogenesis. 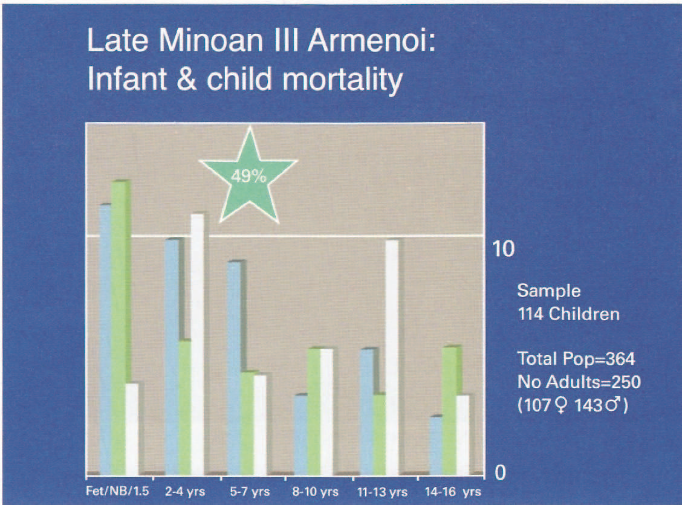 To illustrate this point one need only look at the figures for the Late Minoan cemetery at Armenoi near Rethymnon, where there were 114 sub-adults in a sample of 364 individuals nearly a quarter of whom had died at or not long after birth (fig.1). Infant mortality at Armenoi is equivalent to 69 % and comparable with World Health Organisation figures for infant mortality in contemporary West Africa. 1 McGeorge 2008, 119; Hallager/McGeorge 1992, 32. 3At another LMMIA2-LMMIB1 cemetery in Khania, one teenage mother had a fetus still in her womb, illustrating that childbirth could be a complicated event with a very uncertain outcome for both mother and child.1 The causes of perinatal mortality are often associated on the one hand with poor maternal health during pregnancy (any bacteria in the mother’s blood stream would penetrate the placenta and attack the embryo’s brain, heart and other vital organs) and on the other hand with genetic or developmental abnormalities and birth traumas. 4Intramural infant burials occur on the Greek mainland and islands from the Neolithic period. The earliest examples are seven intramural burials: an embryo, newborns and children in pits below at hut at Knossos, dated to the Aceramic Neolithic.2 On the mainland, intramural burials in small pots occur in the Early Neolithic at Axos, Sesklo, Argissa; in the Middle Neolithic at Chaeronea and on the islet of Aghios Petros; and during Late Neolithic at Nea Nikomedeia, Rachmani and Lerna, interred below floors. 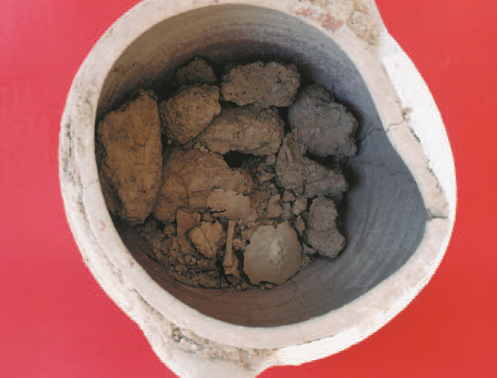 5The use of coarse ware vases for intramural burial is frequent in the Early Bronze Age, but less frequent in the Middle or Late Helladic. New or stillborn babies were placed either in baskets, or wrapped in cloth of which an impression occasionally survives (as at Malthi), or in a wooden box (as at Modi), in small clay jars, or in simple pits, or stone cists below the floors of houses. Burials are sometimes double or even triple. 3 Dor 1960, 43-44, 119, Pls. 23.2 and 24.4. 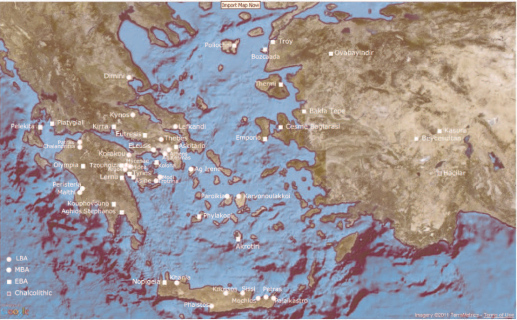 6Intramural burial was practised at a large number of EBA settlement sites: at Poliochni on Limnos (4), Bozcaaada on Tenedos, Thermi I and III on Lesbos (5), Emborio on Chios (1), Akrotiri on Thera (10), Paroikia on Paros (1), Phylakopi on Melos (9), Nopigeia on Crete (1), Kolona on Aigina (several), and at Askitario (1 under pithos fragments), Eutresis (1), Kirra (1)3, Platygiali (4), Pelekita on Ithaca (4), and in the Peloponnese at Tzoungiza, Berbati, Strephi, Epidaurus (12), Tyrins (1), Asine and Lerna (9), at Ayios Stephanos, (22) Koufovouno and Olympia (3) (map 1).4 The actual number of burials per site (in brackets) is small. 7Middle Bronze Age intramural infant burials have been found at Poliochni, Akrotiri, Thebes, Eleusis, Eutresis, Korakou, Argos, Asine, Tyrins, Ayios Stephanos, Peristeria and Malthi.5 Sites with exceptional numbers of intramural burials are Asine6 with 57 infant/child burials: 45 in pits, 6 in pithoi, 5 in cists and 1 in a brick enclosure; and Ayios Stephanos7 with about 22 EH-MH infant/child burials, many in cists. 10 Mårtenson 2002; Konsolaki-Giannakopoulou 2003. 8At some sites the custom of intramural burial for infants and children (occasionally adults too) is carried over from Early Helladic to the Middle Helladic period, or from Middle Helladic to the Late Helladic period. Burials are either the stone cist, earth-cut or pit types; jar burials are less frequent, while large sherds were used to cover inhumations of infants and children at Lefkandi.8 Three shaft graves were used for the intramural inhumation of infants at Korakou.9 On the islet of Modi,10 an inaccessible fortified trade post for the temporary storage of goods in transit, the ivory inlay survived from the wooden box used for the burial of a newborn infant. 10At the southern edge of the Aegean, Crete seems not to have embraced this particular burial practice in the Early Bronze Age, whereas there were a great variety of extramural burial practices. The Early Minoans buried their dead in caves, rock shelters, crevices, tombs: house tombs, tholos tombs, chamber tombs, cists or in cemeteries sometimes using clay coffins (pithoi or larnakes). At present, the only intramural child burial known is an EMII pithos burial at Nopigeia, Kissamos in west Crete (60 miles from Cape Malea in the Peloponnese). 12Intramural burials of infants and small children begin to occur from LMIA, centuries later, at several sites on the island. The burials fall into three main categories: inhumations in pots or in pits and one in a stone-lined cist, made under the floors of houses that were occupied. 14At Sissi there are two burials in adjacent Rooms 6 and 8 of house BC.17 A newborn infant was buried in a pyxis which lay on its side close to an interior wall in room 6, its opening sealed by the wall. The infant’s head pointed downwards. An older child, between 3.5 to 6.5 years old, was buried in a smaller pyxis, which lay on its side in the south corner of Room 8. The child was positioned on its right side with the upper part of its body and head exposed, protruding from the vase. Room 8 had a hearth and was used for the preparation of food. Both burials are dated to LMIA. 18 MacGillivray et al. 1988, 259 ff., fig.7, and 273, Pls. 47f. 15At Palaikastro a newborn infant, crouched in a decorated amphoroid krater with a small kalathos on its head was found in a 50 cm dense deposit of pottery below “a cupboard or storage compartment” (1.60 x 0.80 x 1.40m) with a trodden earth floor on which a gourna had been set in the southwest corner.18 The almost complete articulated skeleton of the child illustrated in the publication appears to be newborn. The date of the deposit is LMINA2/NIB. 16At Phaistos there are two intramural pithos burials: full-term low birth weight or near-term newborn infants.19 The infant in Room 5 was buried in a double handled globular cooking jar and covered with the bottom of another coarse ware vessel near the north wall of the room (fig.3). On the LMIIIC floor, a stone cupboard located directly above the burial contained another cooking jar with burnt seeds. The ‘cupboard’ actually appeared to be constructed around the jar to keep it stable (fig.3). 17It is believed that the seeds might have been an offering. A few metres to the east of this burial, was another infant buried in tubular vase below the floor of Room 4. Both burials date to LM IIIB. 21 Warren (in Hallager/Hallager 1997, 169-172). 19In conclusion, the majority of the intramural burials on Crete were newborn infants buried without grave gifts. All the vases were coarse ware vessels with the exception of the Palaikastro vase, which was a decorated amphoroid krater. At Sissi the pyxis-type vessels lay flat on their sides, like the EMII pithos burial at Nopigeia. At Phaistos and Palaikastro the vases were upright, the mouth of each vase sealed by a sherd from another vessel, whereas at Petras the vessel was inverted. 20Popham found four sub-floor intramural burials in the Unexplored Mansion (three fetuses: 33, 35 and 38 weeks and a newborn) in Rooms C, M and L.
23 Hogarth 1899-1900, 70-84, fig.23. 26 Soles/Walker 2003, 135-147, Pls. 32-36. 27 Infant burials, not in jars and without grave gifts, easily disintegrate and escape detection. 23The Artisan’s Quarter at Mochlos,26 consisting of two multi-room buildings constructed gradually through the addition of new rooms, produced eight burials: six in jars, two of them outside the building. Seven of them were made in LMIII after the abandonment of the buildings. Burial 8 (age not determined) was discovered after floatation and must have been a sub-floor pit burial contemporary with the occupation of Room 2 in Building A.27 This room (2.26 x 2.92 m) functioned as a kitchen with equipment for making olive oil, preparing and serving food. 29 Hallager/Hallager 2003, 24-33, 276, 301-303. 26It would be an omission not to mention here the interment of multiple children excavated by Warren in the basement of the LM IB North House at Knossos. Two small rooms were accessed through a corridor leading off the north courtyard. In the first and smaller of the two rooms (1.85 x 1.10 m), were the remains of four children, aged 12, 8 and younger. 27Many bones bore cut marks, which created an enigma.30 A collection of drinking vessels and bowls were stored in the adjacent room (2.18 x 1.60 m). 32 Özkaya/Coşkun 2009; Boyd 1995,17-23; Gopher/Orrelle 1995, 24-8. 33 Dikaios 1953; Peltenberg/Swiny 2001. 36 Munchaev et al. 1993; Dunand 1973. 30In Syria (map 2) from the 10th millennium adults, children and fetuses were buried in shallow pits, sometimes wrapped in matting coated with bitumen, below house floors or outside houses at many sites: Mureybet, Jerf el-Ahmar, Abu Hureyra, Tell Halula and Dja’de al-Mughara, Ain el-Kerkh.35 Then in the ceramic Neolithic, vases were used to bury infants less than a year old usually without grave gifts: at Ain el-Kerkh, Halula, Khazna II, and Byblos36, the pot being laid on its side with the infant’s head pointing towards the mouth of the jar. From Chalcolithic onwards, when burial was transferred from living sites to cemeteries outside the settlement, the custom of intramural jar burial for infants continued. The practice had particularly strong roots in North Syria and Mesopotamia. 31Through the late VIth right down to the Ist millennium BC, burial within the settlement beneath house floors, usually of infants and children without grave goods appears to be the rule. 40 Peasnall in Rothman 2002,171 ff. 41 Exact parallels have been found at Boğazköy, see the paragraph below on Anatolia. 45 Woolley 1976, pl. 39b. 46 Ilan 1995; Gopher/Orrelle 1995a and 1995b. 35In Israel (map 3) during the Chalcolithic period (late Vth millennium BC) intramural burials have been reported at Tel Teo, Tel Dan, Qatif Y-3, Teluliot Batashi (level III) and Nahal Zehora II.46 At Nahal Zehora two pre-term infants were buried in the settlement: one in a jar and the other close to the wall of a structure in the settlement; while a third child was buried in a stone cist. At Tel Dan in the MBA (ca. 2000 BC) interment was solely intra-mural, under the floors of dwellings or courtyards.47 Jar burials were used for infants under two years of age and were often broken to insert the corpse. 36The head was almost always at the jar opening, which was sometimes covered with a potsherd and in some cases the jar was set in a circle of stones. The jars were usually placed next to or aligned with walls. 49 Wheeler 1974; Mellaart 1970. 53 Wheeler 1974; Blegen 1950; Angel/Bisel 1986, 12; - Erkanal/Keskin 2009. 54 Peltenberg 1985, 1991 and 1998. 60 Brunton/Caton-Thompson 1928; Petrie et al. 1896. 61 Duchesne 2003; Rizkana/Seeher 1989. 62 von Pilgrim 1996, 174. 66 van der Brink 1982, 19-20, 28-9. 41In summary, intramural burial was practised over many millennia in different cultural and geographical settings and was not tied to one area. Tracing the exact flow of ideas is difficult. 42This custom developed strong roots in North Syria, North Mesopotamia and SE Anatolia and may have radiated from this area along the Tigris and Euphrates and their tributaries, filtering into neighbouring areas with the movement of people and ideas, developing variations68 and putting down new roots. 70 Samos (Heraion), Kos (Sanctuary of Asklepios) should probably be included as well). 44Despite evidence that Crete was part of a vigorous trade network established between the Aegean, Cyprus, Syria and Egypt from the 19th century BC, until LMI it does not seem to have been seriously impacted by the custom of intramural burial practised by other contact cultures, or to have been influenced by the Greek mainland, in spite of proximity and the great variety of intramural burials: simple pit or rectangular earth-cut pits, and cist graves (increasingly favoured in the Middle to Late Bronze Age), a few shaft graves, and burials using pithoi or fragments of pithoi. 45The LMIA appearance of intramural burial at several sites in East Crete and at Knossos could be interpreted as the result of more intense/intimate contact and greater intellectual receptivity to new ideas, or the physical presence of people from cultures that practiced intramural burial.71 Linear B tablets (as 1516) at Knossos record not only Greek names but also Near Eastern and Hittite names. The intramural burials in the Unexplored Mansion and on Gypsadhes predate the Mycenaean administration, though perhaps not the presence of Mycenaeans and people of other ethnicities. 72 Astour 1980; Pritchard 1969, 139, quoted by Ilan 1995, 136. 73 Pritchard 1969, 154; Landy 1981; Wright 2001, 177. 47In all cultures, societies and religions, death is a serious matter. There are certain procedures, rules and restrictions that need to be observed. Intramural burial for infants and small children must have been connected with natal customs and ceremonies.75 The ritual and symbolism involved would have been far more complex than we can ever know. Many societies practise rites of separation for pregnant women who are considered impure and a danger to the rest of society.76 That impurity is naturally transmitted to infants who are subject to certain taboos and exclusions, until rites of transition and (re-) integration have been performed.77 Some of these rituals survive even in modern societies: the ‘churching’ of women 40 days after giving birth represents the Greek Orthodox rite of reintegration. 79 Perhaps literally since most children are born at home. 48Rites to assist the newborn in entering the transition might last from two to more than forty days. Rites for infants might include cutting the umbilical cord, sprinkling and lustrations, loss of the remainder of the umbilical cord, naming, the first haircut, first teeth, the first meal, the first walk, etc.78 If a child died before his rite of incorporation into the world, then he would have to return to his place of origin,79 believed by many modern primitives to be the earth.80 A child that died at or soon after birth may not have been acknowledged as a member of the social group. Having no social identity, it could not be incorporated in the ‘society of the dead’ and would be excluded from the cemetery.81 Burial in a community cemetery ratifies membership of the community. Burial at home would acknowledge membership of that family. 49In order to interpret symbolism in these burials we need to try to explore primitive perceptions of the mechanism of human reproduction, fertility. Mythology is one way of exploring the mental universe of ancient people. Some of the earliest myths concerned with death imagined humans emerging from the earth like plants. In Greek mythology, the story of Persephone, illustrates the ancient belief that new life came out of death. The Greek myth incorporates ideas from an even more ancient Sumerian myth: The Descent of the Goddess Inanna to the Underworld,82 and bears similarities to the Tale of Aqhat. In the Greek myth,83 with which most of us are familiar, when Demeter is reunited with her mother the earth becomes fruitful again. 84 Papadimitriou et al. forthcoming. 50A new Mycenaean wall painting from Tiryns portrays a pomegranate tree beside a woman and a girl, tentatively identified as Demeter and Persephone.84 Furthermore, it has been suggested that a shrine to a goddess of vegetal matter, possibly ancestral to the later shrine of Demeter, existed on Gypsadhes Hill in one of the LMI structures excavated by Hogarth.85 Thus ideas associated with the myth of Demeter may have been current in LMI Crete. 52Jar burials in the Aegean were sometimes placed in pits or on a paved pebble surface, horizontally or vertically, and sealed with a slab or another pot or potsherd. At Petras the purposeful inversion of the pithos appears unique. Was this just a practical solution for sealing the pot in the absence of a sherd or a slab, or could there be some other eschatological explanation? 53The inversion of the pithos suggests fusion with local customs and ideas. Pithos inversion of adult burials is known at a number of earlier cemeteries in east and central Crete.89 What was the significance of inverting pithoi? By inverting the pithos, the child’s head was placed in a downward position, which is the correct presentation for a fetus to be born or in this case re-born. The hope that this infant would have another chance of life must have dictated the inversion of the pithos, so that the fetus was in the appropriate position to facilitate its rebirth. To my mind, pithos inversion provides unambiguous evidence of the Minoan’s belief in rebirth and an afterlife. 54The seed jar in the cupboard above the Phaistos burial and the gourna in the cupboard at Palaikastro share a conceptual similarity owing to the symbolic association between grain, fertility and rebirth. Seeds are an obvious analogy for rebirth, probably the clearest evidence to preliterate minds that seeds, which appeared to be dead when planted in the earth, would eventually germinate and come back to life. This association could have nurtured the hope that a deceased infant would come back to life like the grain and the protagonists of the myths. Perhaps keeping a dead infant near its mother was believed to exercise a beneficent influence, promoting fertility, helping her to give birth to another child embodying the spirit of the deceased. 55This research was an attempt to set intramural infant burials within a wider framework. To some extent the spread of intramural infant burial suggests an inter-regional acceptance of this mode of burial as being appropriate for infants. Thus it implies the development of a shared cosmology, which in turn implies a certain scale and intensity of interregional communication. 57Human societies everywhere have a tendency to be conservative. They renew their social bonds by maintaining customs and traditions, re-affirming unity through cohesive social behaviour. Myths were invented to explain the world and had a didactic function to cultivate ethics and acceptable social behaviour. Myths and religion established psychological security, shaped identity and behaviour. Customs and beliefs were transformed or adapted according to need. 58In its heyday Minoan Crete founded colonies, exerted its influence abroad and ultimately became a desirable destination for foreigners whose presence is inferred from consumer preferences for new vase shapes (eg. the kylix), or decorative styles, or the manufacture of handmade burnished ware, the introduction of a new script/language, the identification of foreign personal names and new styles of burial such as warrior graves, shaft graves, pit caves and intramural infant burials. Alram-Stern, E., Die Ägäische Frühzeit 2.2: Forschungsbericht 1975-2002: Die Frühbronzezeit in Griechenland mit Ausnahme von Kreta [Veröffentlichungen der Mykenischen Kommission 21], Vienne, 2004. Angel, L. / Bisel, S., “Health and Stress in Early Bronze Age Anatolia”, in J.V. Canby / E. Porada / B.S. Ridgway / T. Stech (eds. ), Ancient Anatolia: Aspects of Change and Cultural Development. Essays in Honour of Machteld J. Mellink [Wisconsin Studies in Classics], University of Wisconsin, 1986, 12-30. Akkermans, P.M.M.G / Schwartz, G.M., The Archaeology of Syria, Cambridge, 2003. Astour, M.C., “The netherworld and its denizens at Ugarit”, in B. Alster (éd. ), Death in Mesopotamia [Papers read at the XXVIe Rencontre Assyriologique Internationale, Mesopotamia 8], Copenhague, 1980, 227-238. Bacvarov, K., “Early Neolithic Jar Burials in southeast Europe: A comparative approach”, Documenta Praehistorica XXXIII, 2006, 101-106. Battini-Villard, L., L’espace domestique en Mésopotamie de la IIIe dynastie d’Ur à l’époque paléo-babylonienne [BAR IS], Oxford, 1999. Baumbach, L., “An examination of the personal names in the Knossos tablets as evidence for the social structure of Crete in the Late Minoan II period”, in O. Krzyszkowska / L. Nixon (éds. ), Minoan Society, Bristol, 1983, 3-10. Blegen, C., Korakou: A prehistoric settlement near Corinth, Boston, 1921. Blegen, C., Troy I, Princeton, 1950. Boyd, B., “Houses and Hearths, Pits and Burials: Natufian Mortuary Practices at Mallaha (Eynan), Upper Jordan Valley”, in S. Campbell / A. Green (éds. ), The Archaeology of Death in the Ancient Near East [Oxbow Monograph 51], Oxford, 1995. Brailsford, J.F., The Radiology of Bones and Joints, Baltimore, MD, 1953. Bernabo-Brea, L., Poliochni, citta preistorica nell’ isola di Lemnos, II, Rome, 1976.
van den Brink, E.C.M., “Tombs and Burial customs at Tell el-Dab’a”, Beitrage zur Ägyptologie 4, 1982, 19-20, 28-29. Brunton, G. / Caton-Thompson, G., The Badarian civilization and Predynastic remains near Badari [British School of Archaeology in Egypt Publications 46], Londres, 1928. Cadogan, G., “Pyrgos, Crete 1970-1977”, Archaeological Reports 24, 1977-78,70-84. 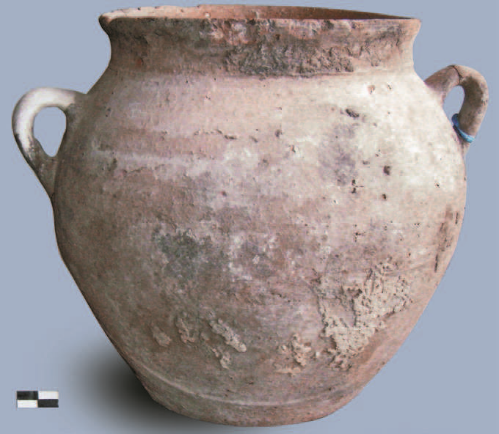 Carter, E. / Parker, A., “Pots People and the Archaeology of Death in Northern Syria and Southern Anatolia in the latter half of the Third Millennium BC”, in S. Campbell / A. Green (éds. ), The Archaeology of Death in the Ancient Near East [Oxbow Monograph 51], Oxford, 1995. Caskey, J., “Excavations at Lerna: 1957”, Hesperia 27, 1958, 125-144. Castel C., “Un quartier de maison urbaines du Bronze Moyen à Tell Mohammed Diyab”, in K. Veenhof (éd. ), Houses and Households in Ancient Mesopotamia, Istanbul, 1996, 273-284. Cauvin, J., “Les fouilles de Mureybet (1971-1974) et leur signification pour les origines de la sédentarisation du Proche-Orient”, Annual of the American School of Oriental Research 44, 1979, 19-48.
de Contenson, H., “Les coutumes funéraires dans le Néolithique syrien”, Bull. De la Société Préhistorique Française 89 (6), 1992, 184-191. Coqueugniot, E., “Tell Dja’de el-Mughara”, in O. Lette / J.-L. Montero Fenollos (éds. ), Archaeology of the Upper Syrian Euphrates: The Tishrin Dam Area, Barcelone, 1999, 41-55. Cultraro, M., “In Death not Separated. Evidence of Middle Bronze Age Intramural Burials at Poliochni on Lemnos”, in A. Philippa-Touchais / G. Touchais / S. Voutsaki / J. Wright (éds. ), MESOHELLADIKA: The Greek Mainland in the Middle Bronze Age [BCH Supplement 52], Paris, 2010, 919-930. Daux, G., “Chronique des fouilles 1963”, BCH 88, 1964, 725. David, R., The Pyramid Builders of Egypt, Londres / New York, 1996, 189-90. Dawkins, R.M. / Droop, J.L., “The excavations at Phylakopi in Melos”, BSA 17, 1911, 1-22. Debono, F./ Mortensen, B., El Omari: A Neolithic settlement and other sites in the vicinity of Wadi Hof, Helwan [Archäologische Veröffentlichungen 82], Mayence, 1990. Delaporta, K. / Spondyles I., “Πρωτοελλαδικός οικισμός στο Πλταυγυαλί Αστακού”, Πρώτες Παρατηρήσεις, ΑΑ 49, 1988, 7-19. Demakopoulou/Divari-Valachou 2002 Demakopoulou, K. / Divari-Valachou, N., “Excavations in Midea 2000 and 2001”, Opuscula Atheniensis 27, 2002, 27-58. Dikaios, P., Khirokitia. Final Report on the excavation of a Neolithic settlement in Cyprus on behalf of the Department of Antiquities 1936-1946, Oxford, 1953. 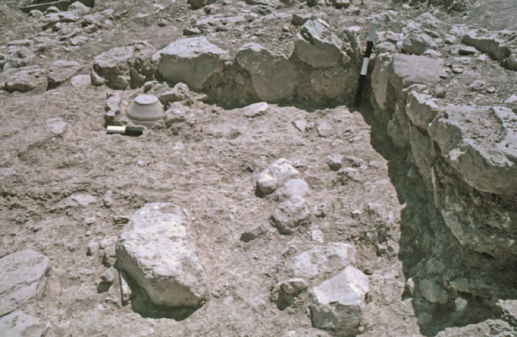 Dikaios P., Enkomi Excavations 1948-1958, Mayence, 1969/70. Dor, L./Jannoray, J. / van Effenterre, H. / van Effenterre, M., Kirrha: étude de préhistoire phocidienne, Paris, 1960. Dornemann, R.H., “Tell Hadidi: A Millennium of Bronze Age City Occupation”, in D. Freedman, (éd. 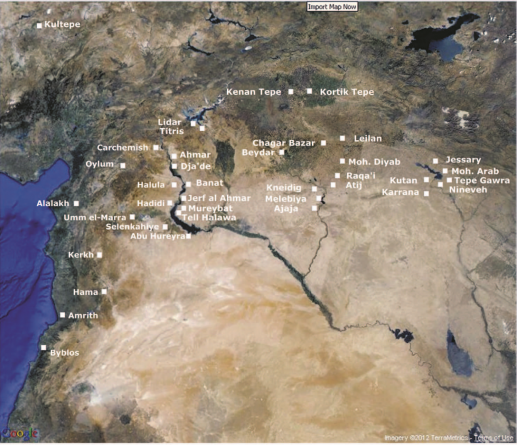 ), Archaeological Reports from the Tabqa Dam Project: Euphrates Valley, Syria [AASOR 44], Cambridge, MA, 1979, 115-151. Dörpfeld, W., Untersuchungen und Ausgrabungen zur Gesichte des alteten Heiligtums von Olympia und der alteren griechischen Kunst, Berlin, 1935. Doumas, Chr. (éd. ), Akrotiri: 40 years of Excavation: 1966-2006, forthcoming. Dreissen, J., Excavations at Sissi II: Preliminary Report on the 2009-2010 Campaigns, Louvain, 2011. Duchesne, S. / Petit, C. / Baduel, N. / Midant-Reynes, B. / Crubézy, E., “Le rôle des parures dans les cérémonies funéraires au prédynastique: l’exemple des sépultures d’enfant d’Adaïma”, Bulletin de l’Institut Français d’Archéologie Orientale 103, 2003, 133-166. Dunham, S., “Beads for babies”, Zeitschrift fur Assyriologie 83, 1993, 237-57. Dunand, M., L’architecture, les tombes, le matériel domestique, des origines néolithiques à I’avènement urbain [Fouilles de Byblos, tome V], Paris, 1973. Erkanal, H. / Özkan, T., “ 1998 Bakla Tepe Kazıları”, KST 21.1, 263-278. Erkanal, H. / Keskin, L., “Relations between the Urla peninsula and the Minoan world”, in C.F. Macdonald / E. Hallager / W.-D. Niemeier (éds. ), The Minoans in the central, eastern and northern Aegean - new evidence: Acts of a Minoan Seminar 22-23 January 2005 in collaboration with the Danish Institute at Athens and the German Archaeological Institute at Athens [Monographs of the Danish Institute at Athens 8], Athènes, 2009, 97-110. Evans, J.D., “Excavations in the Neolithic settlement of Knossos 1957-60. Part I”, BSA 59, 1964, 132-240. Fazekas, I.G. / Kósa, F., Forensic Fetal Osteology, Budapest, 1978. Forsén, J., The Twilight of the Early Helladics [SIMA 16], Jonsered, 1992. Frodin, O. / Persson, A.W., Asine. Results of the Swedish Excavations 1922-1930, Stockholm, 1938. Fugmann, E., L’architecture des périodes pré-hellénistiques. Hama: fouilles et recherches, 1931-1938, Vol 2, Part 1, Copenhague, 1958. Van Gennep, A., Tabou et Totémisme à Madagascar, étude descriptive et théorique, Paris, 1904. Van Gennep, A., The Rites of Passage, Chicago, 1960 [reprinted 2004]. Goldman, H, Excavations at Eutresis in Boeotia, Cambridge, MA, 1931. Gopher, A. 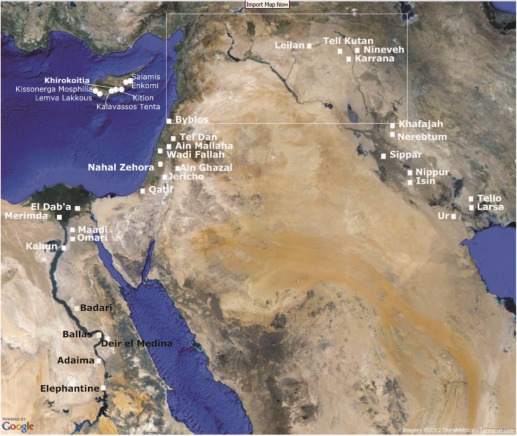 / Orrelle, E., “New data on Burials from the Pottery Neolithic Period (Sixth and Fifth Millennium BC) Israel”, in S. Campbell / A. Green (éds. ), The Archaeology of Death in the Ancient Near East [Oxbow Monograph 51], Oxford ,1995. Gopher, A. / Orrelle, E., “Preliminary report on excavations of Nahal Zehora II - seasons 1990-1991”, Mitekufat Haeven 23, 1995, 169-172. Grajetzki, W., Burial Customs in Ancient Egypt: Life in Death for Rich and Poor, Londres, 2003. 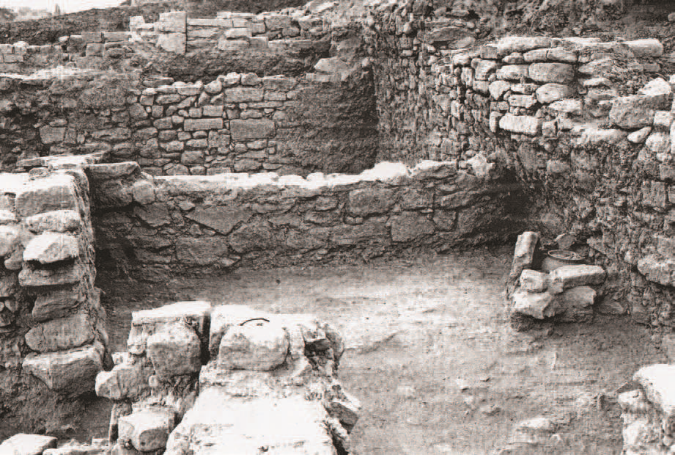 Hall, E.H., Excavations in Eastern Crete. Sphoungaras, Philadelphie, 1912. Hallager, B.P. / McGeorge, P.J.P., Late Minoan III Burials at Khania [SIMA XCIII], Göteborg, 1992. Hallager, E. / Hallager, B.P., The Greek Swedish Excavations at the Agia Aikaterini Square Kastelli, Khania 1970 -1986 and 2001. Vol III:1 The Late Minoan IIIB:2 Settlement [Acta Instituti Atheniensis Regni Sueciae], Stockholm, 2003. Heurtley, W.A., “Excavations in Ithaca II: the Early Helladic at Pelekita”, BSA 35, 1934-35, 1-44. Hodder, I., The Domestication of Europe: Structure and Contingency in Neolithic Societies, Oxford, 1990. Hogarth, D.G., “Knossos: II. Early Town and Cemeteries”, BSA 6, 1899-1900, 70-84. Hood, S / Clutton Brock, J. / Bialor, P.G., Excavations in Chios 1938-1955. Prehistoric Emporio and Ayio Gala, Vol I, Athènes, 1981. Hopwood, D.E., “The changing relationship between the living and the dead: Child burial at the site of Kenan Tepe, Turkey”, in C. Bacarov (éd. ), Babies Reborn: Infant/Child Burials in Pre- and Protohistory [BAR IS 1832], 2008, 113-121. Huber, S. / Varalis, V., “Chronique de fouilles en 1994”, BCH 119, 1995, 845-1057. Ilan, D., “Mortuary Practices at Tel Dan in the Middle Bronze Age: A reflection of Canaanite Society and Ideology”, in S. Campbell / A. Green (éds. ), The Archaeology of Death in the Near East [Oxbow Monograph 51], Oxford, 1995, 117-139. Johnston, F.E., “Growth of long bones of infants and children at Indian Knoll”, AJPA 20, 1962, 249-254. Kakrides, I.Th., Ελληνική Μυθολογία: Οι Θεοί, Τόμος 2 [Εκδοτική Αθηνών], Athènes, 1987. Karantzali, E., “Στοιχεία Πρωτομινωικής Κατοίκησης στα Νοπήγεια Κισάμου”, ΑΔ 47-48,1992-1993, Α’ Μελέτες, 1997, 66-81. Kaza D., “Δ ΕΠΚΑ”, ΑΔ 35, 1980, Χρονικά II1,118. Kaza D., “An Early cist grave from Argos”, AA 100, 1985, 1-21. Kemp, B., Merimda and the theory of house burial in Prehistoric Egypt [Chronique d’Égypte: Bulletin périodique de la Fondation Égyptologique Reine Elisabeth 43], 1968. Kilian K., “Ausgrabungen in Tyrins 1980. Bericht zu den Grabungen”, Archäologischer Anzeiger, 1982, 393-430. Klengel-Brandt, E. / Kulemann-Ossen, S. / Martin, L. / Wartke, R.-B., “Vorläufiger Bericht über die Ausgrabungen des Vorderasiatischen Museums auf Tall Knedig/ NO-Syrien, Ergebnisse der Kampagnen 1995 und 1996”, Mitteilungen der Deutschen Orient-Gesellschaft 129, 1997, 39-87. Kolonas, L., “Νομός Αχαιας, Χαλανδρίτσα”, ΑΔ 40, 1985 B (1990), 136-138. Kolonas, L. / Gazis, Μ., “Ο Μυκηναϊκός Οικισμός της Χαλανδρίτσας, Νεότερα Στοιχεία”, in Μ. Kazakou (éd. ), Πρακιτικά Αρχαιολογικής Συνόδου Νότιας και Δυτικής Ελλάδος (Πάτρα, 9-12 Ιουνίου 1996), Athènes, 2006, 25-30. Konsolaki-Giannakopoulou 2003 Konsolaki-Giannakopoulou Ε., “Η μυκηναϊκή εγκατάσταση στο νησάκι Μόδι της Τροιζηνίας”, in N. Kypasissi-Apostolika / M. Papaconstantinou (éds. ), Πρακτικά B’Διεθνούς Διεπιστημονικού Συμποσίου «Η Περιφέρεια του Μυκηναϊκού Κόσμου» Λαμία 26-3ο Σεπτεμβρίου 1999, Athènes, 2003, 417-432. Lamb W., Excavations at Thermi in Lesbos, Cambridge, 1936. Lanaras, B., “Μία intra muros ταφή βρέφους στο μεσοκυκλαδιτικό Ακρωτήρι Θήρας, Ιστορία του εθίμου των intra muros ταφών στο Αιγαίο”, in A. Vlachopoulos / K. Birtaha (éds. ), Αργοναύτης, Τιμητικός τόμος για το καθηγητή Χρίστο Ντούμα από τους μαθητές του στο Πανεπιστήμιο Αθηνών, Athènes, 2003, 445-460. Landy, F. (éd. ), The Tale of Aqhat, Londres, 1981. Lunt, D.A., “Lemba-Lakkous and Kissonerga-Mosphilia: Evidence from the Dentition in Chalcolithic” in S. Campbell / A. Green (éds. ), The Archaeology of Death in the Ancient Near East [Oxbow Monograph 51], 1995. MacGillivray, J.A. / Driessen, J. / Macdonald, C. / Smyth, D., “Excavations at Palaikastro, 1987”, BSA 83, 1988, 259-282. Mallowan, M.E.L., “The Excavations at Tell Chagar Bazar and an Archaeological Survey of the Habur Region 1934-35”, Iraq 3, 1936, 1-87. Mallowan, M.E.L., “The excavations at Tell Chagar Bazar and an Archaeological Survey of the Habur Region. Second Campaign 1936”, Iraq 4, 1937, 91-177. Mallowan, M.E.L., “Excavations at Brak and Chagar Bazar”, Iraq 9, 1947, 1-259. Μαρινάτος, Σ., “Δύο πρώιμοι μινωικοί τάφοι εκ Βόρου Μεσαράς”, ΑΔ 13, 1930-31, 137-170. Μαρινάτος, Σ., “Ανασκαφαί Πύλου”, Πρακτικά της Αρχαιολογικής Εταιρείας, 1960, 209. Μαρινάτος, Σ., “Ανασκαφαί Πύλου”, Πρακτικά της Αρχαιολογικής Εταιρείας, 1961, 171. Martin, L. / Wartke, R.B., “Tall Abu Hgaira 1987-1990”, Archiv für Orientforschung 40-41, 1993-94, 200-215. Mårtensson, L., “Traces of boxes: linings of wooden boxes in Helladic Tombs” in B. Wells (éd. ), New research on old material from Asine and Berbati in celebration of the 50th anniversary of the Swedish Institute at Athens, Stockholm, 2002. Massa, M. / Şahoğlu, V., “Western Anatolian burial customs during the Early Bronze Age”, in V. Şahoğlu / P. Sotirakopoulou (éds. ), Across The Cyclades and western Anatolia during the 3rd millenium BC, Istanbul, 2011.
de Meyer, L., Tell ed-Der I, Gent, 1971. McClellan, T. / Porter, A., “Banat”, in H. Weiss (éd. ), “Archaeology in Syria”, AJA 101, 1997, 106-108. McClellan, T. / Porter, A., “Survey of Excavations at Tell Banat: Funerary Practices”, in G. del Olmo Lete / J.-L. Montero Fenollos (éds. ), Archaeology of the Upper Syria Euphrates: The Tishrin Dam Area, Barcelone, 1999, 107-116. McGeorge, P.J.P., “Intramural Infant Burials in the Aegean”, in E. Hallager / B.P. Hallager, The Greek Swedish Excavations at the Agia Aikaterini Square Kastelli, Khania 1970 -1986 and 2001 Vol III:1 The Late Minoan IIIB:2 Settlement [Acta Instituti Atheniensis Regni Sueciae], Stockholm, 2003, Appendix 2: 301-303. McGeorge, P.J.P., “Morbidity and Medical Practice in Minoan Crete” in M. Andreavaki-Vlazaki / N. Dimopoulou-Rethemiotaki / G. Rethemiotakis (éds. ), From the Land of the Labyrinth Minoan Crete, 3000-1100 BC [Exhib. Cat. ], 2008, 118-127. McGeorge, P.J.P., “The intramural infant jar burial at Petras: context, symbolism, eschatology”, in M. Tsipopoulou (éd. ), Petras Siteia: 25 Years of Excavations and Studies [Danish Institute Monograph 16], Aarhus, 2012, 291-304. McMahon, A. / Tunca, Ö. / Bagdo, A., “New Excavations at Chagar Bazar 1999-2000”, Iraq 63, 2001, 201-222. Molist, M., “Tell Hallula: un village des premiers agriculteurs-éleveurs dans la vallée de l’Euphrate”, in G. del Olmos Lete / J.-L. Montero Fenollos (éds. ), Archaeology of the Upper Syrian Euphrates: The Tishrin Dam Area, Barcelone, 1999, 27-40. Mellaart, J., Excavations at Hacilar, Edimbourg, 1970. Moore, A.M.T. / Hillman, G.C. / Legge, A.J. (éds. ), Village on the Euphrates: From Foraging to Farming at Abu Hureyra, Oxford, 2000. Moore, A.M.T. / Molleson, T.I., “Disposal of the Dead”, in A.M.T. Moore / G.C. Hillman / A.J. Legge (éds. ), Village on the Euphrates: From Foraging to Farming at Abu Hureyra, Oxford, 2000, 277-299. Morgan, C., “Mygdalia”, Archaeology in Greece Online, http://chronique.efa.gr/index.php/fiches/voir/1551. Munchaev, R.N. / Merpert, N.Y. / Bader, N.O. / Amirov, S.N., “Tell Hazna II”, Rossiiskaya archeologia 4, 1993, 25-42. Mylonas, G., Προϊστορική Ελευσίς, Athènes, 1932. Mylonas, G., Aghios Kosmas. An Early Bronze Age Settlement and Cemetery in Attica, Princeton, 1959. Nikolaou E., “Παιδικε’ς ταφές intra muros της έσχατης Χαλκοκρατίας από τον Κύνο της Ανατολικής Λοκρίδας”, in F. Dakoronia (éd. ), ΥΠΠΟ- ΙΔ ΕΠΚΑ. Η Περιφέρεια του Μυκηναϊκού Κόσμου [Πρακτικά Α Διεθνούς Διεπιστημονικού Συμποσίου, Λαμία 25-29 Σεπτεμβρίου 1994], Lamia, 1999, 153-156. Niemeier, W.-D., “Minoan Artisans Travelling Overseas: the Alalakh Frescoes and the Painted Plaster Floor at Tel Kabri (Western Galilee)”, Aegeum, 1990, 189-201. Nordquist, G., A Middle Helladic Village: Asine in the Argolid, Uppsala, 1987. Özkaya, V. / Coşkun, A., “Körtik Tepe, a new Pre-Pottery Neolithic A site in south-eastern Anatolia”, Antiquity, Project Gallery, Vol 83, 320, 2009. http://antiquity.ac.uk/projgall/ozkaya/. Papadimitriou, A. / Maran, J. / Thaler, U., “Palatial wall paintings from Tiryns: new finds and new perspectives”, in I. Tournavitou (éd. ), Mycenaeans Up to Date: The Archaeology of the NE Peloponnese - Current Concepts and New Directions, forthcoming. Peltenburg, E.J., Lemba Archaeological Project I. Excavations at Lemba-Lakkous, 1976-1983 [SIMA 70.1], Göteborg, 1985. Peltenburg, E.J. et al., Lemba Archaeological Project II.2. Peltenburg, E.J. et al., Lemba Archaeological Project II.1A and B (3 volumes). Excavations at Kissonerga-Mosphilia 1977-1995 [SIMA 70.4], Jonsered / Edimbourg, 1998. Peltenberg, E.J. / Swiny, S., The earliest Prehistory of Cyprus: From Colonization to Exploitation [Cyprus American Archaeological Research Institute. Monograph series Vol. 2], Boston MA, 2001. Petrie, W.M.F., Kahun, Gurob and Hawara, Londres, 1890. Petrie, W.M.F. / Quibell J.E. / Spurrel F.C.J., Naqada and Ballas: 1895 [Egyptian Research Account Memoir 5], Londres, 1896. Piteros, Chr., “Θ ΕΠΚΑ”, ΑΔ 38, 1983, Χρονικά II 1,138. Πλάτων, Ν., “Η αρχαιολογική κίνησις εν Κρήτης κατά το έτος 1954”, Κρητ. Χρονικά Χ, 1956, Χρονικά, 416. Πλάτων, Ν., “Η αρχαιολογική κίνησις εν Κρήτης κατά το έτος 1954", Κρητ. Χρονικά ΧΙ, 1957, Χρονικά, 339-340. Popham, M.R., The Minoan Unexplored Mansion at Knossos [BSA Supplement 17], Londres, 1984. Pritchard, J.B., Ancient Near Eastern Texts Relating to the Old Testament, Princeton, 1969. Pullen, D.J., “Early Helladic Burial practices at Asine and Early Bronze Age Mortuary Practices”, in R. Hagg / G.C. Norquist (éds. ), Celebrations of Death and Divinity in the Bronze Age Argolid [The Proceedings of the Sixth International Symposium at the Swedish Institute in Athens, 11-13 June 1988], Stockholm, 1990. Rizio, A., Μυκηναϊκοί Οικισμοί Αχαϊας [Φαίδιμος 3], Patras, 2011. Rizkana, I. / Seeher, J., Maadi III: The non-lithic small finds and the structural remains of the Predynastic settlement [Archäologische Veröffentlichungen 80], Mayence, 1989. Roaf, M., “Excavations at Tell Mohammed ‘Arab in the Eski Mosul Dam Salvage Project”, Iraq 46.2, 1984, 141-156. Rothman M.S., Tepe Gawra: the evolution of a small prehistoric center in Iraq, University of Pennsylvania, 2002. Rubenssohn O., “Die prähistorische und frühgeschichtliche Funde auf dem Burghügel von Paros”, AM 42, 1917, 1-72. Schallin, A.-L., Islands under Influence. The Cyclades in the Late Bronze Age and the nature of Mycenaean Presence, Jonsered, 1993. Scheuer, L. / Black, S., Juvenile Developmental Osteology, Londres, 2000. Schwartz, G. / Curvers, H. “Tell al-Raqa’I 1989 and 1990: Further Investigations at the Small Rural site of Early Urban Northern Mesopotamia”, AJA 96, 1992, 397-419. Schwartz, G.M. / Curvers, H.H. / Gerritsen, F.A. / MacCormack, J.A. / Miller, N.F. / Weber, J., “Excavation and Survey in the Jabbul Plain, Western Syria: The Umm el-Marraq Project 1996-1997”, AJA 104, 2000, 419-462. Seager, R.B., The cemetery of Pachyammos, Crete, Philadelphie, 1916, 1-30. Shelton K, “Pottery and Petsas House: Recent research on LH IIIA 2 Mycenae”, in I. Tournavitou (éd. ), Mycenaeans Up to Date: The Archaeology of the NE Peloponnese - Current Concepts and New Directions, forthcoming. Steel, L., “Differential Burial Practices in Cyprus at the beginning of the Iron Age”, in S. Campbell / A. Green (éds. 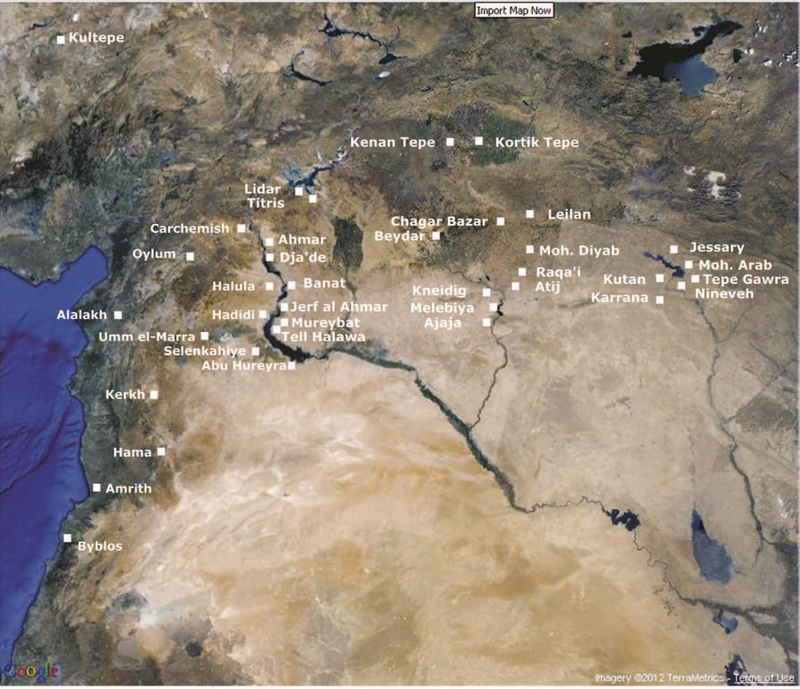 ), The Archaeology of Death in the Near East, Oxbow, 1995, 199-204. Stordeur, D. / Helmer, D. / Willcox, G., “Jerf el Ahmar- un nouveau site de l’horizon PPNA sur le moyen Euphrate syrien”, Bulletin de la Société Préhistorique Française 94, 1997, 282-285. Suleiman, A., “Tell Boueid”, in M. al-Maqdissi (éd. ), “Chronique des activités archéologiques en Syrie (II)”, Syria 72, 1995, 164-170. Taylour, W.D., “Excavations at Ayios Stephanos”, BSA 67, 1972, 205-270. Taylour, W.D. / Janko, R., Ayios Stephanos. Excavations at a Bronze Age and Medieval Settlement in Southern Laconia [BSA Supplement 44], 2008. Theocharis, D. R., “Ανασκαφή εν Αραφήν”, Πρακτικά της Αρχαιολογικής Εταιρείας, 1955, 115-116. Thureau-Dangin, F. / Dunand, M., Til Barsib [Bibliothèque Archéologique et Historique 23], Paris, 1936, 97, 108-109. Touchais, G., “Chronique des fouilles et découvertes archéologiques en Grèce en 1980”, BCH 105.2, 1981, 792. Touchais, G., “Chronique des fouilles et découvertes archéologiques en Grèce en 1985”, BCH 110.2, 1986, 684. 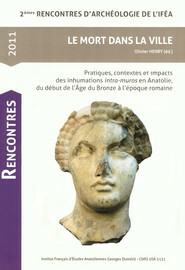 Touchais, G., “Chronique des fouilles et découvertes archéologiques en Grèce en 1995”, BCH 120.3, 1996, 1123. Tsipopoulou, M. (éd. ), Petras 1985-2010: 25 years of Excavations and Studies, forthcoming. Tsountas Chr., “Εκ Μυκηνών”, Αρχαιολογική Εφημερίς, 1891, 25-28. Tumasonis, D., “Aspects of Minoan Society: A View from Social Anthropology”, in O Krzyszkowska / L. Nixon (éds. ), Minoan Society, Bristol Classical Press, 1983, 303-310. Tsuneki, A. / Hydar, J. / Miyake, Y. / Maeda, O. / Odaka, T. / Tanno, K. / Hasegawa, A., “Fourth preliminary report of the excavations at Tell el-Kerkh (2000), northwestern Syria”, Bulletin of the Ancient Orient Museum 21, 2000, 1-36. Valmin, N.S., The Swedish Messenia Expedition, Lund, 1938.
van Loon, M.N., “The Oriental Institute Excavations at Mureybit, Syria: Preliminary report on the 1965 Campaign”, Journal of Near Eastern Studies 27, 1968, 265-290.
van Loon, M.N., “1974 and 1975 Preliminary results of the excavations at Selenkahiyeh near Meskene, Syria”, in D. Freedman D. (éd. 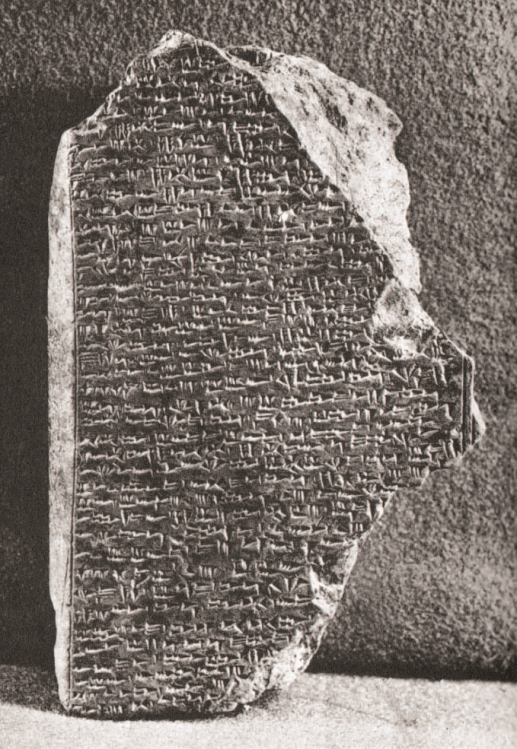 ), Archaeological reports from the Tabqa Dam Project, Euphrates Valley, Syria [AASOR 44], 1979, 97-112.
von Pilgrim, C., “Elephantine XVIII, Untersuchungen in der Stadt des Mittleren Reiches und der Zweiten Zwischenzeit”, Archäologische Veröffentlichungen 91, Mayence, 1996, 165-174. Wall, S.M. / Musgrave, J.H. / Warren, P.M., “Human Bones from a Late Minoan IB House at Knossos”, BSA, 81, 1986, 333-388. Warren, P.M., “Knossos Stratigraphical Museum Excavations, 1978-80. Part I”, Archaeological Reports 27, 1980-81, 73-92. Warren, P.M., “Knossos Stratigraphical Museum Excavations 1978-82. Part II”, Archaeological Reports 29, 1982-83, 63-87. Warren P.M., “A Minoan shrine on Gypsadhes, Knossos” in 11th Cretological Congress: Abstracts, 2011, 230. Welter, G., “Aeginetica XIII-XXIV”, AA, 1938, 510-512. Wheeler, T.S., “Early Bronze Age Burial customs in Western Anatolia”, AJA 78, 1974, 415-425. Woolley, L., Ur Excavations. Vol. VII, The Old Babylonian Period, Londres, 1976. Woolley, L., Alalakh: An Account of the Excavations at Tell Atchana in the Hatay, 1937-49, Oxford, 1955. Wright, D.P., Ritual in Narrative: The Dynamics of Feasting, Mourning and Retaliation Rites in the Ugaritic Tale of Aqhat, Winona Lake, IN, 2001. 4 Here the references are given in order for each site, eg. Brea for Poliochni/Dörpfeld for Olympia. Likewise in all the following footnotes where many sites are mentioned the sources are listed in site order. Brea 1976; Massa/Sahoglu 2011; Lamb 1936; Hood 1981; Doumas forthcoming; Rubensohn 1917; Dawkins/Droop 1911; Karantzali 1997; Welter 1938; Theocharis 1955; Goldman 1931; Dor et al. 1960; Delaporta/Spondyles 1988; Heurtley 1934-35; Pullen 1990; Kanz et al. 2010; Forsen 1992; Frodin/Person 1938; Caskey 1956 and 1957; Taylour/Janko 2008; Forsen 1992; Dörpfeld 1935. 5 Brea 1976; Lanaras 2003; Piteros 1983; Kaza 1980 and 1985; Nordquist 1987; Mylonas 1932 and 1953-54; Goldman 1931; Blegen 1921; Forsen 1992;Taylour/Janko 2008; Marinatos 1961; Valmin 1938. 11 Reference are given in order for each site: Taylour/Janko 2008; Nordquist 1987; Kilian 1982; Caskey 1957; Blegen 1921; Touchais 1986; Marinatos 1960; Kaza 1980; Tsountas 1891; Daux 1964; Demakopoulou/Divari-Valachou 2002; Mårtenson 2002; Kolonas 1985; Papazoglou/Paschalides pers. comm. Morgan 2010; Rizio 2011; Rizio 2011; Touchais 1996; Mylonas 1959; Piteros 1983; Nikolaou 1999; Huber, Varalis 1995; Schallin 1993; Popham 1991. 20 Warren 1980-81, 73-92 and 1982-83, 63-87. I recently studied 20 burials from this excavation all newborn or stillborn infants. 30 There were two skulls. A tooth and a skull fragment which could not be attributed to child A or B represented a third individual, whilst leg bones proved that there were four children. 40% of the bones bore cut marks suggesting that they had been de-fleshed. See: Wall et al. 1986, 81, 341, Tab. 2.374, 377. Nine adult bones were found, one outside the corridor and eight in the courtyard, but none of these had cut marks, op. cit., 346. 31 A discussion of the stratigraphic sequence op. cit., 344-5 debated whether or not the bones had fallen from an upper floor; and whether they preceded or were part of the destruction layer. The excavator's interpretation of the find as evidence of human sacrifice or cannibalism (op. cit., 386-8) is one possible explanation; another is preparation for secondary burial (see Tusmasonis 1983, 306-7; Hughes 1991, 18-26). de Contenson 1992; Tsuneki et al. 2000. 38 Akkermans/Schwartz 2003; Fugmann 1958; McClellan/Porter 1999; McClellan/Porter 1997; van Loon 1979; Martin/Wartke 1993-1994; Akkermans/Schwartz 2003, 270; Schwartz/Curvers 1992; Schwartz et al. 2000; Mallowan 1936, 1937, 1947; Thureau-Dangin/Dunand 1936; McMahon et al. 2001; Carter/Parker 1995. 39 Woolley 1955; Dornemann 1979; Castel 1996; 273-284; Schwartz et al. 2000; Mallowan 1936, 1937 and 1947; Suleiman 1995; Klengel-Brandt et al. 1997. 48 Here, as in Northern Mesopotamia, pithos-halves, cut lengthwise (probably for economy) were used for burial. 65 At Deir el-Medina most houses had four rooms: an entrance hall with a birthing bed and chapel was adorned with Bes, god of childbirth. Infant burials were made in the second room under a low platform, which functioned as a seating area by day and a bed at night. 68 Wheeler 1974, 421 does not consider Mesopotamia the origin of the Western Anatolian custom, except for chronological priority, because pithoi were made especially for funerary use, rather than appropriated from the house. 69 The custom of intramural pot burial filtered up the Struma and Vardar valleys and occurs as far North as Hungary. See Bacvarov 2006. 71 See Wolf-Dietrich Niemeier 1990, 195-6, 199, argues for the physical presence of Minoan artists and craftsmen in Near Eastern palaces, mentions Kamares Ware was found at Ugarit, Qatna, Hazor and Byblos (p 195-196) and two silver cups from the Royal Tombs of Byblos which are probably Minoan imports. 74 Interestingly, M. Astour (1968) argued that Mycenaean Greece was under considerable Semitic influence, both in culture and population, and endeavoured to prove this through a detailed comparative study of myths. 75 Hodder suggested that it was invested with symbolic meaning associated with ‘nurturing and caring’ see Hodder 1990. 76 Van Gennep 1960, 41-49, cites many examples: the Todas of India, the Hopi of Arizona, Bulgarians (Orthodox Christians) in Europe, tribes in Africa and the Pacific to illustrate this widely held concept. 77 In some societies separation procedures during pregnancy are prolonged and involve many prohibitions and exclusions relating to diet, social, economic and sexual activities, which are lifted after reintegration. In Madagascar the Hova caste even considers a pregnant woman dead; after childbirth she is congratulated on being resurrected. See Van Gennep 1904, 165. 78 The period between birth and adolescence or initiation into adult society is broken up into stages whose length and number vary among different peoples. 80 According to Van Gennep, the belief that ‘souls to be born’ live under the earth or in rocks is prevalent amongst many modern primitive peoples, while others believe they live in trees and plants, or in springs and flowing water. 81 Taboos persist in modern Greece. If a newborn is likely to die it has to be air-baptized to ensure its passage to heaven, as there is a danger that an Orthodox priest would refuse to bury the child. 82 Inanna on her return finds that her husband the shepherd Dumuzi, whom she sentences to death, has occupied her throne. However, an agreement is reached whereby he and his sister Geshtinanna each spend six months in the underworld. As in the Greek myth of Demeter and her daughter Persephone, when Dumuzi returns to the world, the earth comes to life with the birth of lambs and the sprouting of grain. 83 Demeter is grief stricken when Hades, ruler of the underworld abducts her daughter, Persephone. In her fury Demeter withholds the harvest until her daughter is returned. Zeus then sends Hermes to rescue her, but Persephone has eaten some pomegranate seeds during her stay in the netherworld and is obliged to spend four months of the year with Hades, now her husband. 86 Perception of the process of conception and birth is narrated in the 14th century BC Ugaritic text of the Tale of Aqhat. In the story, similar to the patriarchal tales of Genesis, the god Il blesses Dani'il and promises him a son: “by kissing his wife there will be conception/ by embracing her there will be pregnancy/ /Let there be a son”. Later on in the text: “Dani'il sat down, he counted her months/One month, a second month passed/a third, a fourth [ ...]th month arrived”. Unfortunately, there is a break in the text at this point. See commentary by Wright 2001, 70, 84-85; also Landy 1981, 20 line 55 ff and 22 line 60 ff. 88 It was not until the 1820's that the respective roles of men and women in the process of reproduction were clearly understood. 89 Pithos inversion was seen in earlier Minoan tombs and cemeteries, at Vorou and Hagios Myron, at Galana Charakia where 32 jars were inverted, at Sphoungaras and most notably at Pachyammos, where 213 burial pithoi were inverted. See: Alexiou 1964 and 1970; Hall 1912; Marinatos 1930-1931; Platon 1954, 1956 and 1957; Seager 1916. 90 There are two burials among those excavated in the Stratigraphical Museum excavations at Knossos, which have been dated MMIIIB-LMI. This material is currently being prepared for publication by Peter Warren, the excavator, and myself. MC GEORGE, Photini J.P. Intramural infant burials in the Aegean Bronze Age : Reflections on symbolism and eschatology with particular reference to Crete In : Le Mort dans la ville : Pratiques, contextes et impacts des inhumations intra-muros en Anatolie, du début de l'Age du Bronze à l'époque romaine [en ligne]. Istanbul : Institut français d’études anatoliennes, 2013 (généré le 24 avril 2019). Disponible sur Internet : <http://books.openedition.org/ifeagd/2061>. ISBN : 9782362450556. DOI : 10.4000/books.ifeagd.2061. Mc George, Photini J.P. “Intramural infant burials in the Aegean Bronze Age : Reflections on symbolism and eschatology with particular reference to Crete”. Henry, Olivier. Le Mort dans la ville : Pratiques, contextes et impacts des inhumations intra-muros en Anatolie, du début de l'Age du Bronze à l'époque romaine. Istanbul : Institut français d’études anatoliennes, 2013. (pp. 1-20) Web. <http://books.openedition.org/ifeagd/2061>.